It’s October which means leaves are falling, and they’re falling straight into your gutter. 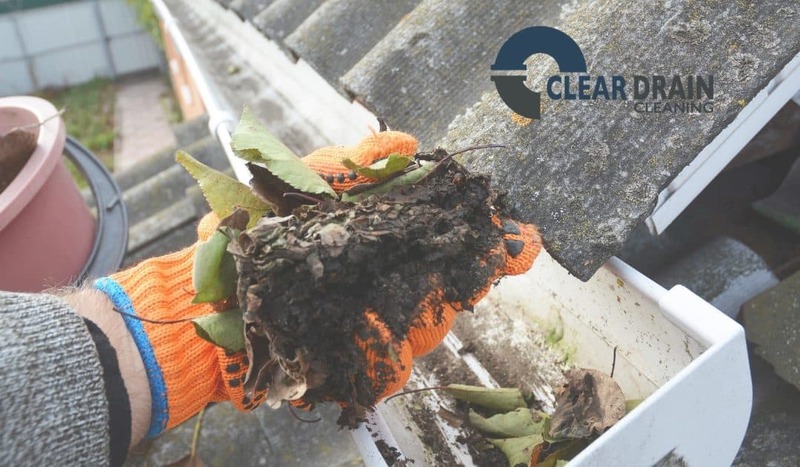 Homeowners should diligently check gutters for buildup of leaves, twigs and other debris to prevent clogs in their gutters, downspouts and underground drainpipes. How Do Downspouts and Gutter Drain Lines Work? Your gutters guide rainwater from the edge of your roof through a downspout, and away from your home. Some downspouts connect to a drainpipe that goes underground, sending water away to another location like a storm sewer or dry well. Gutters, downspouts and underground drains are all susceptible to clogs. Normally, this happens when water pushes debris from your gutter, down the downspout and through to the underground drainpipe. It is essential to keep these drains clear to move water away from your foundation and basement to avoid flooding. This also prevents issues with ice forming in the winter. How Do I Know If My Gutters are Clogged? There are a few common locations where clogs occur including the downspout cage and downspout elbows and seams. If you cannot find a clog after examining these areas, and you have a downspout that goes below ground level, the clog could be in an underground drainpipe. This is where we come in. Clear Drain Cleaning specializes in clearing those underground, hard to reach drains. How Do I Remove a Clog? You can try removing your downspout from the drainpipe first to examine whether you can clear the clog manually. If this doesn’t work, you can attempt to use a plumbing snake or a hose to shoot water through the pipe, hopefully removing the clog. You must be careful if you choose this method, as you could damage the downspout or pipe unintentionally. If the clog is too far down, stubborn or caused by something like tree roots, it’s best to contact a professional drain cleaning service to remove the blockage. If you believe your underground drain pipes are clogged, we can come to inspect your line. Using our safe and reliable hydro jetting method, we will clear your drain of all debris. Clear Drain Cleaning is a local owned company that specializes in residential and commercial drain, sewer and septic services such as electric drain cleaning and hydro jetting. Our tools and methods are safe, reliable and fast. We’ll have your drains, sewage and septic systems clear and running smoothly in no time! We proudly serve Holmes County, Wayne County, Tuscarawas County, Coshocton County, Stark County, Ashland County and Carroll County. Contact us today and Like Us on Facebook!